The main driver of inequality--returns on capital that exceed the rate of economic growth--is again threatening to generate extreme discontent and undermine democratic values. Thomas Piketty's findings in this ambitious, original, rigorous work will transform debate and set the agenda for the next generation of thought about wealth and inequality. What are the grand dynamics that drive the accumulation and distribution of capital? Questions about the long-term evolution of inequality, the concentration of wealth, and the prospects for economic growth lie at the heart of political economy. But satisfactory answers have been hard to find for lack of adequate data and clear guiding theories. 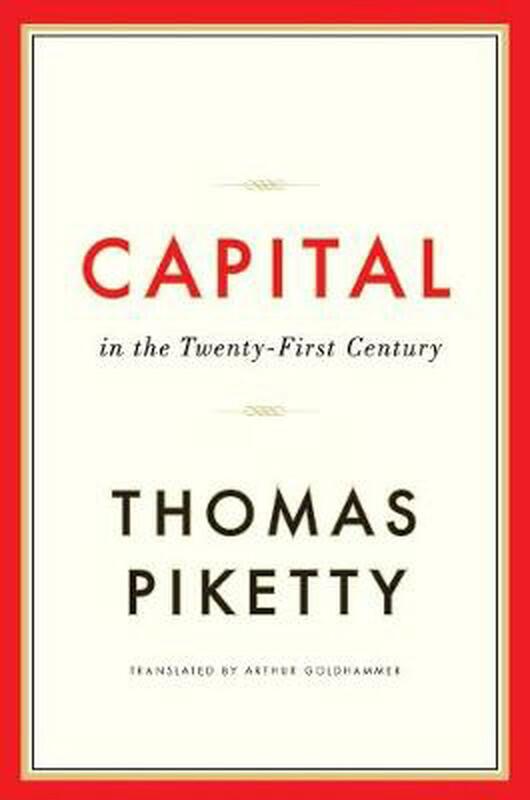 In Capital in the Twenty-First Century, Thomas Piketty analyzes a unique collection of data from twenty countries, ranging as far back as the eighteenth century, to uncover key economic and social patterns. His findings will transform debate and set the agenda for the next generation of thought about wealth and inequality.Piketty shows that modern economic growth and the diffusion of knowledge have allowed us to avoid inequalities on the apocalyptic scale predicted by Karl Marx. But we have not modified the deep structures of capital and inequality as much as we thought in the optimistic decades following World War II. The main driver of inequality--the tendency of returns on capital to exceed the rate of economic growth--today threatens to generate extreme inequalities that stir discontent and undermine democratic values. But economic trends are not acts of God. Political action has curbed dangerous inequalities in the past, Piketty says, and may do so again.A work of extraordinary ambition, originality, and rigor, Capital in the Twenty-First Century reorients our understanding of economic history and confronts us with sobering lessons for today. Thomas Piketty is Professor at the Paris School of Economics and at the cole des Hautes tudes en Sciences Sociales (EHESS).